Vegan Bytes: What's the #1 Hardest Food to Quit? Vegan Bytes #42: What's the #1 Hardest Food to Quit As a Vegan? So, what is the #1 hardest food to quit as a vegan? And why is it so hard to give it up? Why do we normally have no problem giving up milk, ice cream, sour cream, and even meant, but we have the toughest issues with cheese? It's such a source of frustration for so many people, whether they're trying to be fully vegan or just want to cut some cholesterol out of their diet. We need information, support, motivation, and new delicious vegan cheese recipes. We need to understand where our struggle comes from and to learn how we can get over the hump. I've been working for months on a project designed to help you transform your life by cutting out dairy products once and for all. Cut the Cheese: Quit Your Cheese Addiction to Transform Your Life is finally ready! It's different than anything else I've found out there because it focuses solely on cheese. I have a keen awareness of what it's like to have a hard time quitting cheese, and I know what it takes to stop eating it. I also know that it can be hard to switch from dairy cheese to store-bought vegan cheese, and I've tried a lot of vegan cheese recipes. I have done tons of research and want to spread that information to as many people as possible. I put together Cut the Cheese for you. 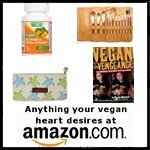 I know a lot of you are actually vegan, and you probably went through the same steps I did to get it out of my life. You might have a few friends who are struggling right now and could use some support. And, maybe you're ready to add some amazing vegan cheese recipes into your arsenal. A good number of you are right on the hump; you really want to take all the animal products out of your life, but you really love cheese and don't even really want to stop eating it. And others are just interested in veganism and vegetarianism and you're curious about what could be wrong with cheese. It's high in calcium and protein, right? After years of experience with the before and after of quitting cheese and months of preparing this ebook, it's finally ready. If you're already over the hard part and don't eat cheese, I definitely recommend checking out my Top 12 Best Vegan Cheese Recipes. Our vegan recipe testers were very excited about these recipes! Learn more about Cut the Cheese by clicking through this link. This is our most recently created ebook, and it's been incredibly exciting to put together. There is no one particular book on quitting cheese available in stores, and not many people are aware of the physically addictive qualities to dairy cheese. Instead of being sick and fat, you can give up cheese and feel light and free. This ebook also has the very best vegan cheese recipes, so you don't have to eat packaged versions that don't taste quite right anymore. This time I asked for the help of several cheese testers, so the recipes are flavor/texture/instruction-tested and approved! download your copy now for only $9.75. 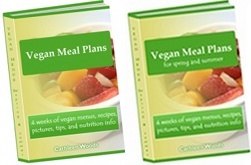 Get Cut the Cheese, The Vegan Bread Box, A Fresh New Vegan You, Vegan Meal Plans and Vegan Meal Plans for Spring with a free copy of the massive Vegan Grocery List for only $54.95. Save more than 15%! Download this package here. *Note: this does not include Soak, Rinse, Boil! because you get it within A Fresh New Vegan You.